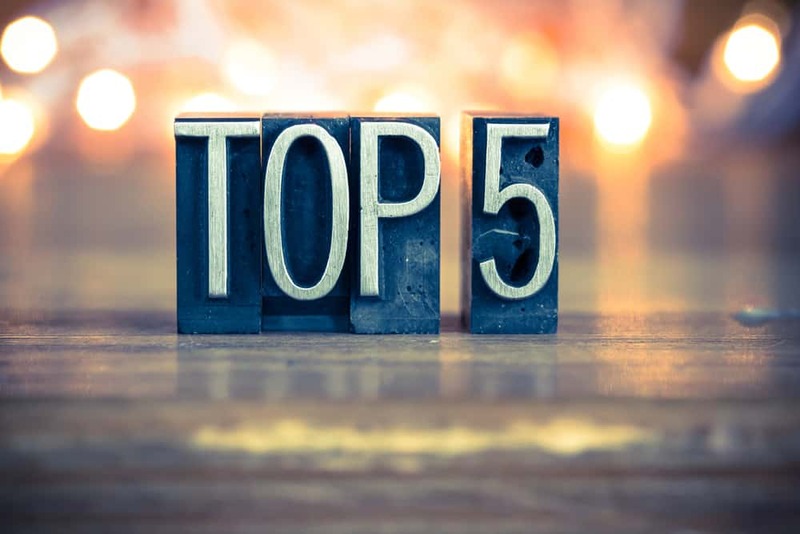 This article provides long-term price analysis and information on upcoming fundamental developments for the top 5 cryptocurrencies by market cap in 2019. 2018 for many, was marked by the almost year-long decline in cryptocurrency prices. However, those who work actively in the crypto industry were mostly upbeat and believe that real progress was made regarding development and adoption during the year. Many stakeholders in the industry also believe that the cryptocurrency bear market is a positive thing, because it flushes out the weak hands, and helps to mature the market. When it comes to the largest cryptocurrencies in existence, the top 5 by market cap today at the start of 2019 is very similar to what it was at the start of 2018, with 4 of the 5 cryptocurrencies staying the same but with some change in rankings. So what’s in store for these leading cryptocurrencies in 2019? We take both a technical and fundamental look at the top 5 cryptocurrencies by market cap to provide an outlook for 2019. Let us first take a look at the Weekly chart to try to give an outline for the future price for Bitcoin. Price has found support at the 200-Week Moving average close to $3000, and a small bounce ensued once it touched it. However, the price is facing resistance from the 7, 21 and 50 week MAs, and the 7 and 50 MA have just made a bearish cross (yellow arrow). Furthermore, the RSI is <30, indicating oversold conditions with ample room for future growth. However, there is no bullish divergence yet. 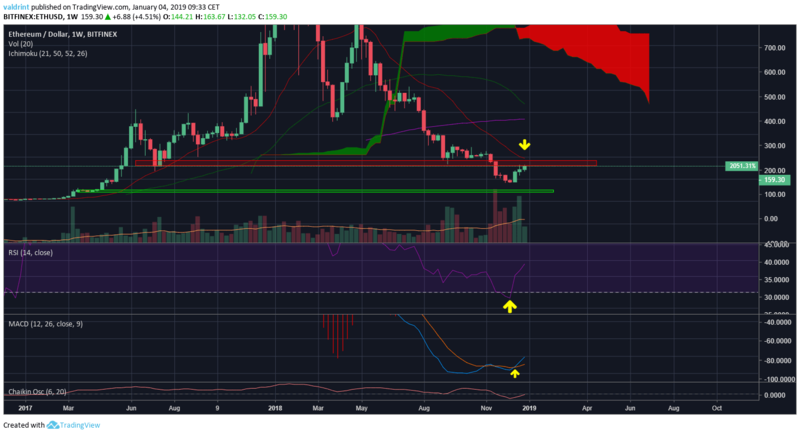 The MACD is negative, but there is bullish divergence developing since April 2018. The main resistance area is the previous longstanding support at $6000, while the next support area is at $2000, formed by the July 2018 lows. Regarding new developments, two exciting things are happening right now with Bitcoin: Increased scalability/transaction speed and the increased interest from institutional investors. The processing speed of Bitcoins transactions has a maximum of 10 transactions per second. The historical average is close to 3 per second. This gives an edge to the competing alternate coins. The developers of Bitcoin have announced the potential use of the Lightning network. The network uses inbuilt smart contract functionality in order to enable trades across a safe network of contributors located off-chain. This would effectively allow for transactions to happen on a separate blockchain than the main one. In a nutshell, this would make Bitcoin feasible for mass adoption. Financial institutions are starting to warm up to cryptocurrencies and in turn releasing products in order to meet the increased demand. The digital assets platform was launched by Fidelity at the end of 2018, and the Fidelity Digital Asset Services (FDAS) platform is expected to be released in the first quarter of 2019 in order to meet the rising demand. The launch would provide their clients with access to most of the major cryptocurrencies instead of just Bitcoin and Ethereum. Finally, the launch of Bakkt is also expected, providing regulatory compliance, and offering futures contracts for Bitcoin. The original release date was January 24, 2019, but it has since been delayed to a later date pending CFTC approval. Bakkt completed its first round of funding on New Year’s Eve, raising $182.5 million from high profile investors such as Galaxy Digital, Microsoft, and Intercontinental Exchange. This certainly put Bakkt in a positive position to start 2019. 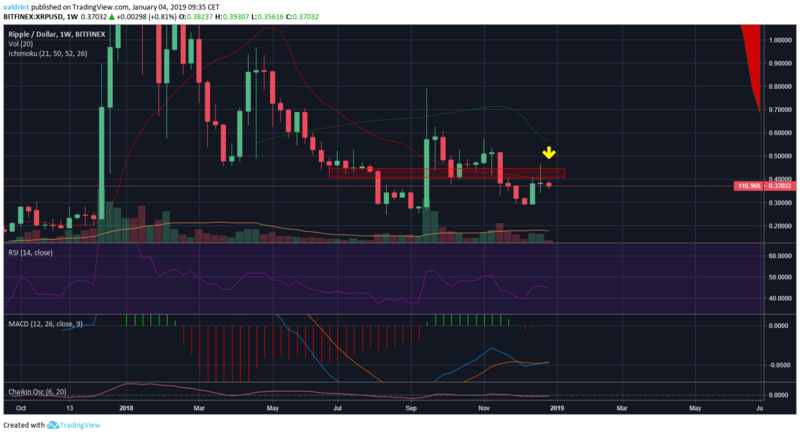 A look at the Weekly chart for Ethereum shows that price is facing significant resistance from both moving averages and resistance zones. Firstly, there is the $200-$220 area formed by the August 2017 and August 2018 lows. Furthermore, this area coincides with the 7-week moving average. Finally, the 7 and 21-50 week MAs respectively have formed bearish crosses. The RSI was <30 for a short period of time indicating oversold conditions before bouncing to 38 along with the price. Furthermore, the MACD made a bullish cross and is going up. The March 2017 high forms the next support area at close to $50. In regard to its developments, the next Ethereum upgrade is scheduled for release in January 2019. It is named Constantinople and aims to improve the blockchain efficiency and make it more ASIC-resistant (meaning there will be no substantial speed increase if the algorithm is implemented in ASIC form instead of CPU). The update is a hard fork and will eventually generate a new Ethereum blockchain which includes the EIP implementations. However, it is assumed that miners will switch to the new blockchain without a lot of controversies. The smart contracts which are present on the current blockchain will be simulated on the new one. There will be no new updates planned for the original blockchain. Later in 2019 on an unspecified date, Ethereum plans a second upgrade. It will include the implementation of the Casper protocol and also sharding. The Casper protocol aims to increase the security of the blockchain and simultaneously reduce the centralization risk. Furthermore, it aims to eliminate the environmentally and financially unsustainable mining practice eventually. While the update indicates a shift to Proof-of-Stake, it will eventually start as a hybrid with the current protocol. Sharding will enable the blockchain to gain higher transaction speeds, by dividing network resources in such a way that a single node is not required to process each and every transaction in the history of the blockchain in order to create a new transaction. With numerous cryptocurrencies in a battle for the highest alternate coin (altcoin) spot, Ethereum will need to make the most of next year if it wants to hold onto its first spot. ConsenSys, an Ethereum focused blockchain tech solutions company founded by Joseph Lubin who was a co-founder of the Ethereum project, reflected on 2018 and looked ahead to 2019 in a recent article. A look at the Weekly chart for Ripple shows that price enjoyed a very good increase of close to 300% at the beginning of September, which has, in turn, retraced almost completely. Currently, the price is facing a lot of resistance from both moving averages and resistance zones. Firstly there is the $0.4-$0.45 area of resistance formed by the previous support in August and September 2018. This area coincides with the 7-Week moving average. 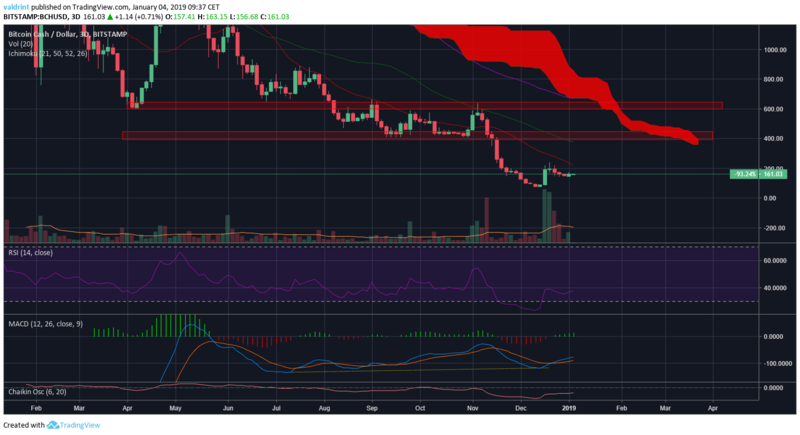 Unlike most other alternate coins, the RSI for XRP never went into oversold territory and is currently hovering between 40 and 50 signaling indecision. There is a similar movement in the MACD, with both lines looking undecided on whether they will make a bullish or bearish cross. Like numerous other alternate coins, a detailed roadmap which is publicly available does not exist for Ripple. Therefore in order to try to understand what the year 2019 has in store for Ripple, it is necessary to survey what the Ripple team has planned and any new major partnerships in place. XRP enjoys more real-life use cases than most other cryptocurrencies, and on January 2nd, 2019 it was used in order to finalize the payment of an agreement connecting BytePower, Soar Labs and Australia’s ASX Crypto Exchange. BytePower have reached an agreement with SoarLabs to make online payments using the payment service provided by Ripple. Furthermore, Ripple reached a deal coming with the National Bank of Kuwait, in order to assist with the remittance service that is provided by NBK. The bank plans on using Xcurrent to conduct direct remittance transfers with the country Jordan. Finally, along with its partner American Express and Chinese group LianLian the company has successfully entered the Chinese market, and the token XRP is expected to be used soon in currency exchange. A look at the 3-day chart for Bitcoin Cash gives a grimmer picture than other alternate coins. Price is facing multiple substantial resistance areas. Unlike most other cryptocurrencies, the price has fallen below all major support areas and is currently in uncharted territory. Firstly, the price is facing resistance from the 7-21 period moving averages and the cloud. 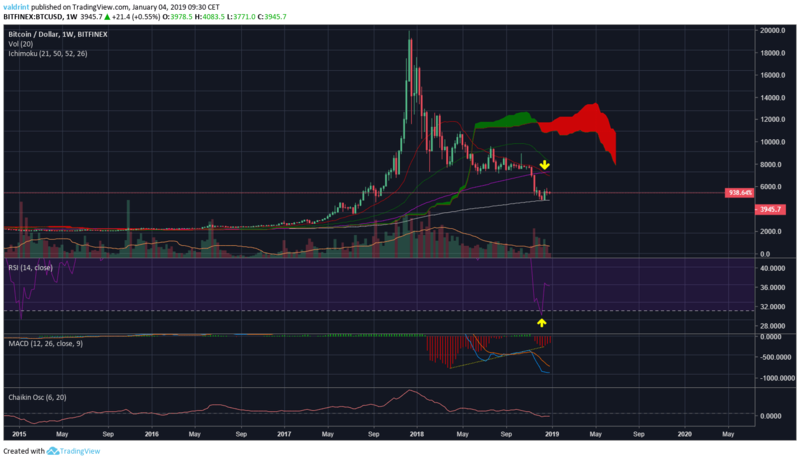 The first major resistance area is in the $400-$410 area formed by the previous support from September to November 2019. The second major resistance area is in $600-$620, formed by the lows of April 2018 and subsequent highs in September-November. The RSI went below 30 for a month, indicating oversold conditions, but there is no bullish divergence yet. However, there has been significant bullish divergence developing in the MACD since July. Bitcoin Cash remains the #4 ranked cryptocurrency by market cap despite issues regarding its hashing in 2018 and the hard fork which split Bitcoin Cash into two coins, Bitcoin Cash and Bitcoin SV. The roadmap is divided into three main sections: Usability, scaling and extensibility. Increase the capabilities of Bitcoin Cash from 100 Tx/s to 5,000,000 Tx/s. Improve the payment experience in order to make it reliable and instant. A transaction must be locked in a maximum of three seconds. Make BCC extensible. A protocol which is extensible will make future improvements less troublesome and will provide developers with a solid base to build on. Besides the scheduled maintenance that is planned to happen in May 2019, the other developmental upgrade which is going to be launched at an unspecified date in 2019 is called Coin Shuffle. This protocol will increase privacy, adding an additional layer of privacy, veiling transactional data at no additional fee. 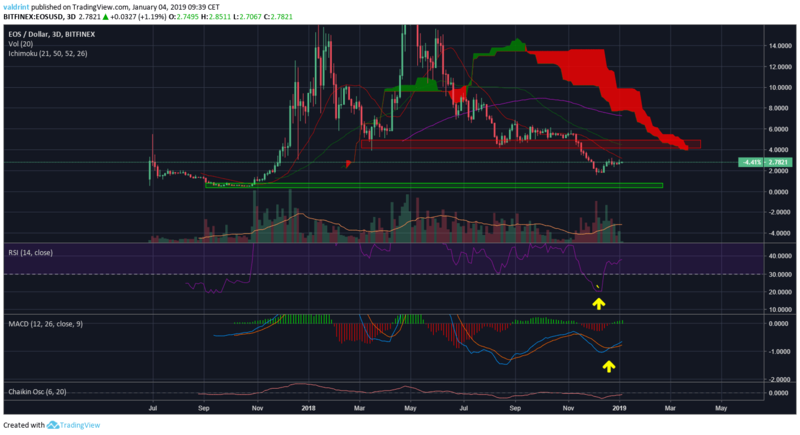 A look at the 3-day chart for EOS shows that price is facing a lot of resistance from the 7, 21 and 50-week moving averages and the cloud. The first area of major resistance is at $4-$4.2, formed by previous support in April 2018 and September 2019. Furthermore, two bearish crosses have occurred between the 50 and 7-21 period moving averages respectively. The RSI was deep in oversold territory at 20 before a slight bounce occurred, but there is no bullish divergence yet. There is significant bullish divergence developing in the MACD, which is trying to turn positive for the first time since May 2018. The currently available EOS roadmap does not provide a lot of details in terms of dates; however, we can assume that the development of Dapps and the increased funding within the EOS ecosystem will be a major focus. There currently are numerous DApps in development, which fall into a number of categories such as, Voting & Governance, Gaming, Advertising & Media, Identity, Education, Healthcare & Fitness, Social Networks, Exchanges, Privacy & Security, and many more. Gambling DApps are also a popular area with the likes of EOSbet, EOSpoker, and EOSdice. One of the most promising DApps being developed is Sense, which essentially is a decentralized messaging service currently in development by Crystal Rose. Furthermore, more updates are expected on the mainchain in order to make it a more desirable option for developers of blockchain technology. The EOS roadmap specifies that the Cluster Implementation phase (phase 5) will occur at an unspecified date in the future. In order to fix scalability issues, EOS plans to finish the Inter-Blockchain Communication protocol in order to utilize sidechains. In the first quarter of 2019, the Meet.one team will release a sidechain to the EOS main net. It will be a true side chain and will not require the registration of a new account. What will happen within 2019 is impossible to predict and remains to be seen. However, what is for sure is that the current top 5 cryptocurrencies by market cap have plenty of major developments ahead. Regarding their prices, all are coming out of the year-long decline seen in 2018. Will this decline continue throughout 2019 or will it be another great year for investors like 2017? Will the top 5 cryptocurrencies by market cap be very similar to what they are now at the start of 2020, just as 2019 is starting very similar to 2018? Or will other prominent cryptocurrencies such as Tron or Stellar rise in the rankings, and result in major shuffles to the top 5 positions. Do you believe Bitcoin will still be the largest cryptocurrency by market cap at the end of 2019? Please let us know your thoughts in the comments section below.